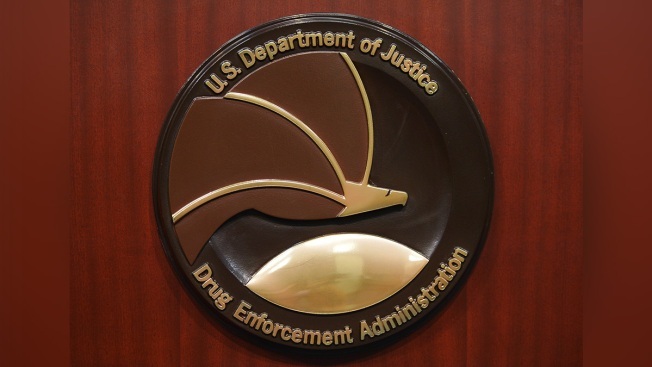 The seal of the Drug Enforcement Association at the DEA headquarters in Arlington, June 26, 2013. The Drug Enforcement Administration has seized around $150 million worth of opioids from two men in New Jersey, the agency said. Luis Aponte, 48, of California, allegedly drove a tractor trailer to a rest stop in Bloombury, New Jersey on Friday. 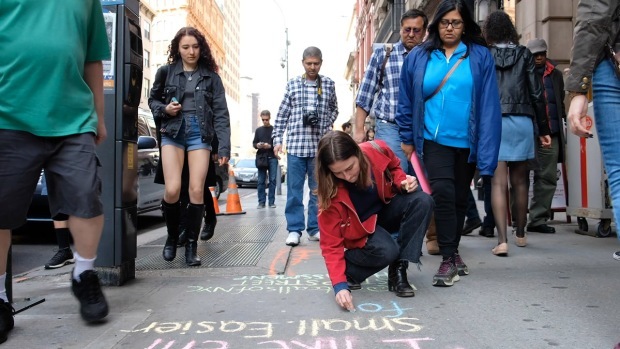 On Saturday, he met up with Denny Diaz, 29, of Philadelphia, who gave him around seven kilograms of fentanyl, DEA said in a release. Agents from DEA’s New York Drug Enforcement Task Force arrested the two and found 13 kilograms of fentanyl and five kilograms of heroin inside Aponte’s tractor trailer, according to the agency. The two have been charged with conspiracy to possess with intent to distribute 400 grams or more of fentanyl, DEA said. “Over the weekend, we stopped $150 million worth of opioids from getting into the Northeast and into over 15 million users' hands,” DEA Special Agent in Charge Ray Donovan said in a statement. Aponte and Diaz appeared in Newark federal court on Monday. They could face between 10 years to life in prison and a fine of up to $10 million, DEA said. Their attorney information wasn’t immediately available Monday.